Pach pokhari is situated to the north east of Kathmandu. valley and west of Rolwaling Himal. It is pilgrimage place for Hindus and it has five holy ponds at the height of 4462mtr. The area offers cultural heritage, unsurpassed beauty and biological diversity. 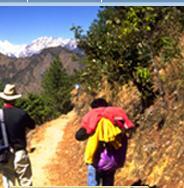 The beautiful Himalayan range and pristine nature with different culture are major highlight of this trek. Jugal Himal is a small region in the west of Rolwaling Himal and south east of Langtang Himal. The main peak are Lenpo Gang or big white peak(6979m), Dorje Lakpa(6986m) and Ganchempo(6387m). This is the most easily accessible of all areas from Kathmandu. It lies about 70k.m north of Kathmandu. valley, it is an area inhabited by sherpas, Tamags and Chetrries. The language , culture and dress of the Helambu sherpas are very different from those who live in Solu khumbu and Rollwaling area and it is famous place for arts( Thanka). Kathmandu. to Chautara(1200m) to Syaule(1400m) bus ride will take approximately 5hrs to Chautara than trek for couple of hour to Syaule. Trail ascent towards to Orkindanda to the ridge. Pass the forested area to reach to Mani walls. Trail continues uphill through mixed forest to the danda. 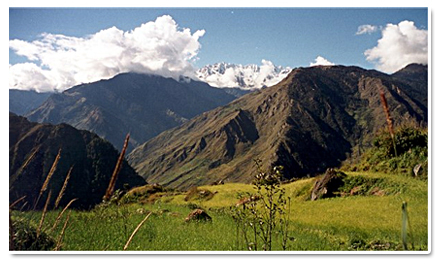 Trail ascends steeply through grassy pastures and stone path to the ridge at3750m. trail ascent and descend till Hile Bhanjyang. the trail goes uphill to the hilchowk at3980m. in clear day there are good views of mountain. Descend gentle to the Nasem pati. The trail climbs up steeply to the Pach pokhari. There are five holy ponds. In the month of June / July full moon there are thousands of Nepali visitors come for worship. Trail descend all the way to Gai kharka. Trail descend through forest and pass the village of Yarsa to the Pach pokhari khola. Cross the bride and trail climbs up to the village of Yagri. Trail descend through forest and pass the village of Gangjwal. When a large valley stretches ahead , there is a shermathung. The path becomes gentle ascent and it leads to colorfully painted Chorten. Pass the village of Kakani and Kaphaigairi village , enter to the forest of pine to reach to melamchi bazaar. Take a bus back to Kathmandu. Day 14 Drive back to Kathmandu.